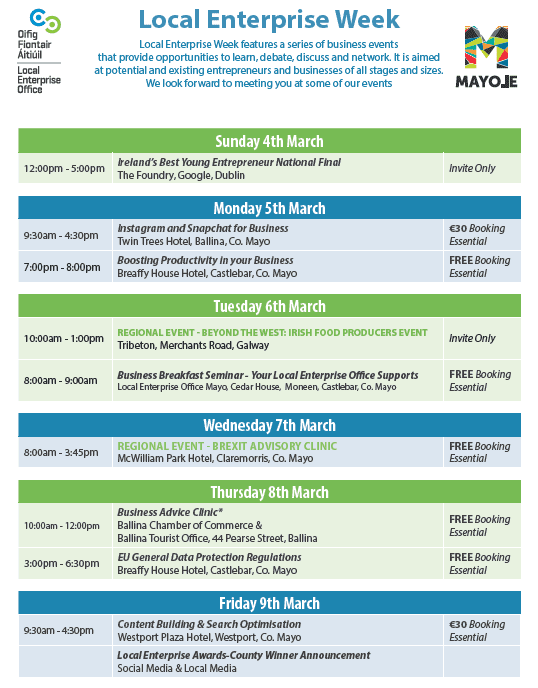 Local Enterprise Week features a series of business events that provide opportiunities to learn, debate, discuss and network. It is aimed at potential and existing entrepreneurs and businesses of all stages and sizes. Come along to some of these events throughout the County, with events schedules to take place in Ballina.